Oversized LAKEFRONT lot with approx. 175 feet on the water. Located in a cul-de-sac in the desirable deed restricted community of BURNT STORE LAKES. County water and sewer available. 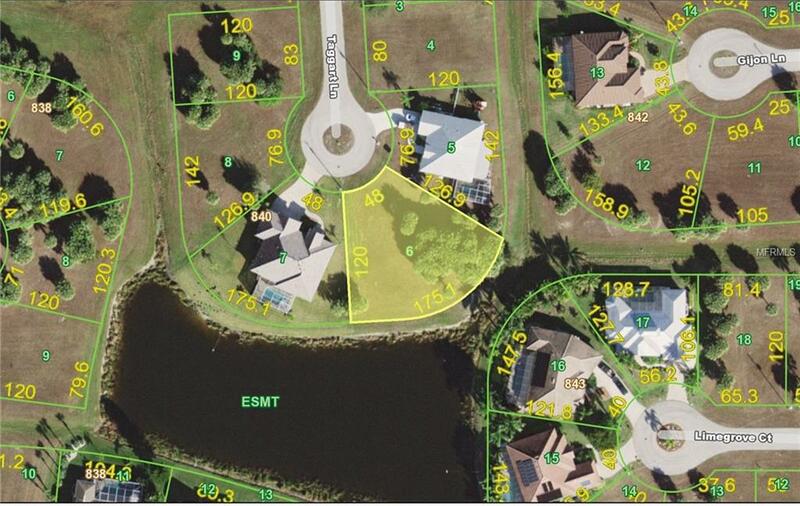 Great lot in a wonderful neighborhood - the perfect spot to build your custom Florida pool home. Burnt Store Lakes boasts 11 lakes and close proximity to Charlotte Harbor. Natural beauty surrounds this community and members enjoy fishing, bird watching or observing the abundant resident wildlife.The Park area at Stork Lake offers an example of true "Old Florida" charm where owners and guests gather. Community park and playground. Keep your boat at nearby Burnt Store Marina, the largest marina on Florida's west coast.Play Golf at nearby Burnt Store Golf & Activity Club. Short drive to historic downtown Punta Gorda shopping, dining, medical care, waterfront parks, fishing piers, Fisherman's Village, art galleries and more. This is a great site and a wonderful community to build your Florida dream home.